In real estate, as the name says, “equity take-out” is simply taking out equity, that is, equity from your property, whether it is your primary home or any rental and vacation properties. However, it is not as simple as the name says! There is a lot more to it than just taking out equity. Let’s begin with what equity is so you have a better understanding of how to position yourself and your home for this “equity take-out” strategy! First of all, what is equity, more specifically, what is home equity? “Home equity” is essentially the current market value of an owner’s home minus any outstanding mortgage and outstanding balance of all liens on the property. In other words, home equity is the amount of ownership that has been built up by the homeowner through mortgage payments and appreciation of the property. Hence, as the homeowner pays down his or her mortgage and as the property increases its value overtime, equity is built. The “equity take-out” strategy can be in effect as soon as the property has enough equity built in it. Today, the banks and financial institutions are expecting a minimum of 20% equity in a home before offering a home equity line of credit (HELOC). There are other lenders who allow you to take up to 90% LTV on your property but it has to make business sense to do so. 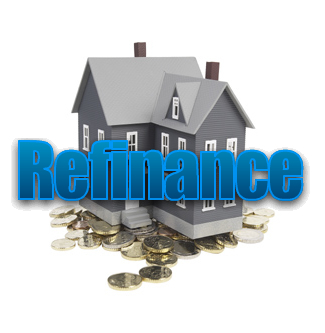 Another term for “equity take-out” is “refinance”. Now why do we want to use this equity take-out strategy? For example, if you buy a property below market value and fix it up so that the value is now in line with the market value, you can use this equity take-out strategy to get back your principle investment, given that you have bought it in a desirable location and completed the renovation correctly and in a timely manner. Since you took back the money you initially invested from the property, that money can be reinvested in another project or you can treat it as profit and use it to whatever your heart desires! It’s up to you!